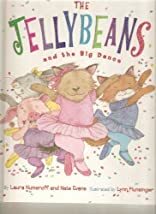 The Jellybeans and the Big Dance was written by Laura Joffe Numeroff and Nate Evans. The Jellybeans and the Big Dance was published by Scholastic Paperbacks. 2/21/2011 Amanda VandeLune said: Like jellybeans, the girls in this story are unique in their own way. They become friends at a dance class when they discover how to work together in spite of their differences. My two kids could not get enough of this book series.